All eyes are on Disney+ with Walt Disney Co.’s investor day scheduled to kick off April 11, five years after management last hosted shareholders at an ESPN event in April 2014. The new streaming service will fundamentally shape Disney’s future as the media conglomerate vies to upend Netflix Inc.
Wall Street is hoping Bob Iger will address a variety of topics. In addition to much-awaited specific details on Disney+, investors are also looking for subscriber-based key performance metrics for streaming platforms, a strategic game plan for Hulu and an idea of just how low near-term EPS will go. Disney shares fell as much as 0.7 percent intraday. With the purchase of 21st Century Fox having closed, analysts are bracing for the financial impact of the increased investments needed to drive early growth of Disney+. Several analysts, while more confident on Disney’s longer-term prospects, have adjusted estimates as they anticipate margins and free cash flow to be under pressure for a prolonged period. Nick Licouris, an investment adviser at Gerber Kawasaki Inc., says the completed Fox deal “opens up a huge potential market” as Fox and Disney can aggregate their intellectual properties. “One factor Disney has over Netflix is their children content—imagine how many families will simply subscribe to Disney+ because their children want to watch their favorite character’s shows and give the parents distraction time,” he said in a message. According to UBS Securities, Disney+ is expected to drive the fastest uptake of any direct-to-consumer platform to date. Analyst John Hodulik projects 5 million subscribers globally in the first 12 months and 50 million users within five years. BTIG LLC’s Richard Greenfield says “investors essentially want to understand whether Disney can make the transition to a ‘tech company’ or if this will be yet another failed foray into technology, not just for Disney but for the broader legacy media universe.” To be truly successful with streaming, it “requires a far bolder approach that would disrupt their legacy businesses,” he wrote in a note. 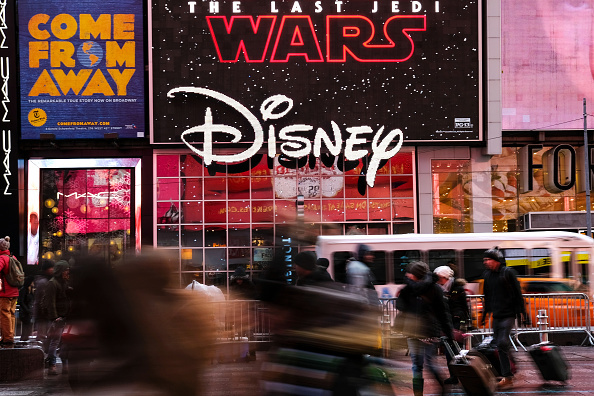 Despite the headwinds awaiting Disney as it enters an increasingly competitive market, analysts and investors are positive about the long-term value Disney+ brings, not to mention the wealth of data amassed to help management better understand its user base.